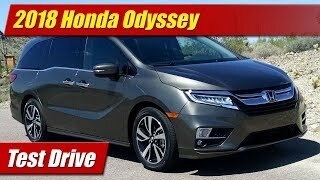 Honda's totally redesigned 2018 Odyssey minivan is more than just some gizmos. It drives well, too! M.S.R.P. - $47,610. Thank you, El Viajero. And thanks for watching, too! Got an elite. Dynomatting the doors, and replacing the brake lines with stainless tube. It's great now, just making it perfect. 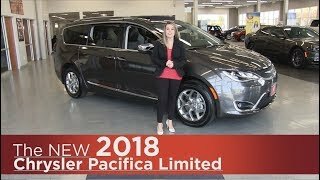 Can you tell me the color of this model please in this video? Thank you very much and God bless. Hi, LUIS FRANCO. This particular color is called Forest Mist Metallic. 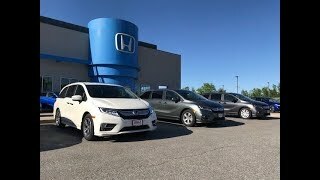 If you're ever wondering the color of any other cars we review, we always state it at the beginning of the video before the standard features. Hope this helps and thanks for watching! Thank you, Jesus De León! We appreciate your comment. Thanks for watching! Just got the wife’s elite odyssey last night. She loves it ! Thank you, Usman Tariq! We appreciate your support. 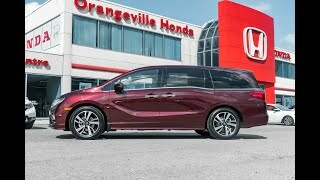 Keeping my fingers crossed 🤞🏾 tomorrow I’m going to Honda to trade my 2017 Honda Accord for this baby here! I’m sure our newborn will enjoy it! Sorry for the delayed reply, Cuba DaBarber and congrats on your newest family member. 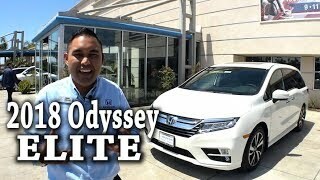 Let us know if you got the Odyssey. We'd love to hear your thoughts! Thanks for watching. We truly appreciate that, J ellowpy. There's plenty more where that came from, so if you haven't done so already, please consider subscribing. We can use all the help we can get. LOL At any rate, thanks for watching! Great review Sir. Very entertaining and *not boring. * Two thumbs up. Thank you very much, Francis Suemitsu. We truly appreciate the kind words. Thanks for watching! Hey! 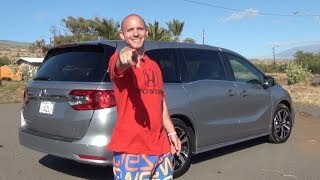 Finally an entertaining car video! I love your video style and the adorable munchkins! Sorry for the delayed reply, but thank you very much for the kind words, abaswilderness. We truly appreciate them! Yeah. 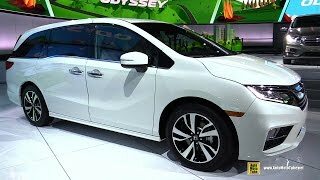 Cool is relative, but this Odyssey is pretty nice. Another great informative professional review. Thanks Chris sir! 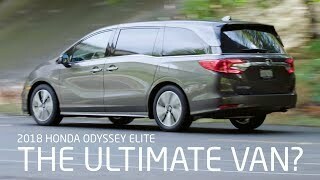 - Been trying to tell my wife a minivan is a great family travel vehicle investment - We bought an 8 passenger SUV (17 Armada Platinum) - She just wasn't hearing it about the minivan. Again great review! Ha! That's a very common conversation, Travis Evans. 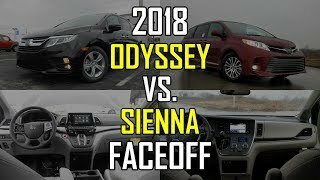 The Armada will get the job done in style, but the Odyssey would have done it better, despite our personal opinions of style. Thanks for watching! Don't tell me Chris was blowing out the minivans speakers with 2 Chainz and Travi$ Scott at the 01:42 videomark. I always knew you were hood adjacent, son.....lol. Ha! He sure was, J High. 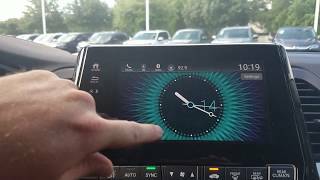 And that Odyssey has a really nice sound system in it. 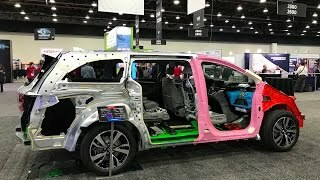 I definitely agree with the practicality and versatility of this particular Honda minivan, but I don't think I could surrender my "swag card" and buy this over an SUV. Thank you, UXBY. We appreciate it! 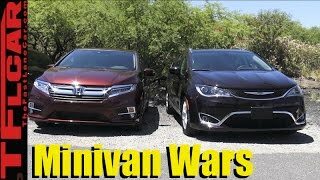 The original Chrysler minivan was a lot more useful than the new compact CUV's, but nowadays, no one would buy them. They're just not cool! Yup. If you can get past the stigma, they're nice and very practical vehicles. So true! 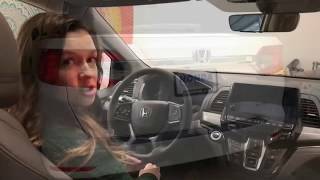 I had never considered a Honda Odyssey until I had a lucky opportunity to sit in one and was very impressed at how spacious and comfortable it is. Yup. 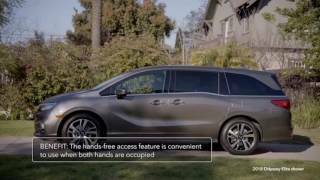 Minivans are still some of, if not THE most practical vehicles on the road today. And while their designs, driving dynamics, and features do help with their stigma, you first have to get inside one to realize their true value. Unfortunately, many people never take the opportunity to experience one. 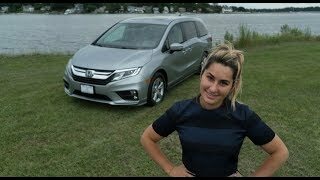 Hey , I really like your reviews on this Honda Odyssey elite ! Thank you very much Larry Calloway. We appreciate the kind words. Thanks for watching! What kind of camera you do use? Thanks! HI, Bryan Newton. Our primary camera is a Panasonic HC-X920. Nothing too special, but it was decent enough to get us started. GoPro handles our special shots. Thanks for watching! Thanks, Thomas E. Tisdale Jr! 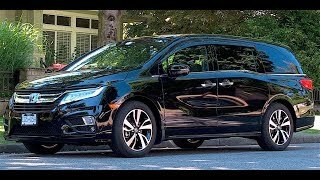 Why do we still call them MINI vans? There is nothing mini about this one or any of them, including the price. Exactly, pedro fernandez. 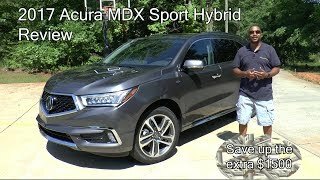 These vehicles, like many others, have crossed over into the premium segment when fully optioned. Fortunately, the new ones drive as such, too. We appreciate you! 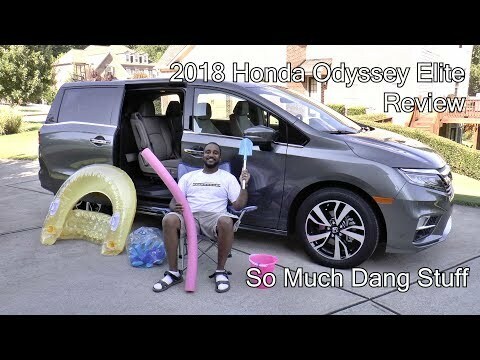 What's really inside the New 2018 Honda Odyssey?